Some people hesitate to go to the emergency dentist. They would rather wait until their routine checkups come around. But sometimes, you need an emergency dentist. If you find yourself in one of these eight situations, don’t hesitate to call. The dentist may be able to fix the problem before it gets too serious. Here are eight valid reasons to see an emergency dentist. One of the main reasons to see an emergency dentist is for extreme pain in your mouth. When the pain is so bad that you can’t think, you have a serious problem. You need to see an emergency dentist for two reasons. First, you need to have them figure out what’s wrong. Then, you need to have them fix the problem so the pain goes away. Living with extreme pain is like torture. And it’s a sign that you have a very serious oral condition. It could be a potentially lethal abscess or another serious issue. Whatever the issue, you need help before it becomes worse. Lacerations in your mouth are never good. Getting them to stop on your own may be impossible. If you don’t seek the help of a dentist, you may deal with the bleeding indefinitely. The best way to stop the bleeding is to go to a dentist. They can tell you what the problem is and how to fix it. As painful as your laceration may be, be sure to avoid blood thinners. Aspirin can make it harder for your blood to clot. And that can make your situation even worse. After time and use, crowns can come off your tooth. If this happens to you, you need to get help right away. When a tooth has no crown, it leaves the pulp exposed to the elements. And when your pulp gets damaged, it may be difficult or impossible to repair it. It exposes your tooth to bacteria and you become at risk for infection. It can also lead to pain and discomfort. If you have a missing crown, the pain may not be too bad. But that doesn’t mean you should wait to get help. The sooner you see a dentist, the less damage there will be. Sometimes, an abscess can cause your face to become swollen. A swollen face may be your first clue that you have an abscess in your mouth. While you might not think it’s serious, an abscess can have fatal consequences. An abscess is a sign of infection. Without treatment, the infection can spread to the rest of your mouth. In some cases, this can result in oral surgery. At the first sign of an abscess, you should see an emergency dentist. They can drain the abscess and help it heal. A cracked tooth can be very painful. It can also become more damaged. Every time you bite down on a badly cracked tooth, the crack may get bigger. If a piece of it breaks off, you’re at risk for an infection. To make sure your crack doesn’t get any worse, you can see an emergency dentist. They can tell you the best course of action and fix your tooth. When you’ve had a tooth knocked out, there’s no time for waiting. You need to see a dentist immediately. If you get to one soon enough, you may be able to save your tooth. But if you wait, that hope may be lost. To preserve your tooth, you need to keep the root intact. You need to avoid touching the root and keep the tooth in a safe place. If you have a glass of milk, that can preserve it. But if one isn’t available, you can store it in water or inside your mouth. Just be sure not to swallow it. When you bring your dentist the tooth, they may be able to give you a root canal and reattach your real tooth. It’s one of the best reasons to see an emergency dentist. Normally, a chipped tooth isn’t a medical emergency. But sometimes, a chipped tooth can ruin an event. If you have a wedding or graduation the next day, a chipped tooth becomes an emergency. You may want to contact a dentist to have the tooth fixed immediately. If it’s a minor chip, they can chisel it down so it becomes unnoticeable. Sleep is one of the most important things in life. Without it, your work and family life suffers. 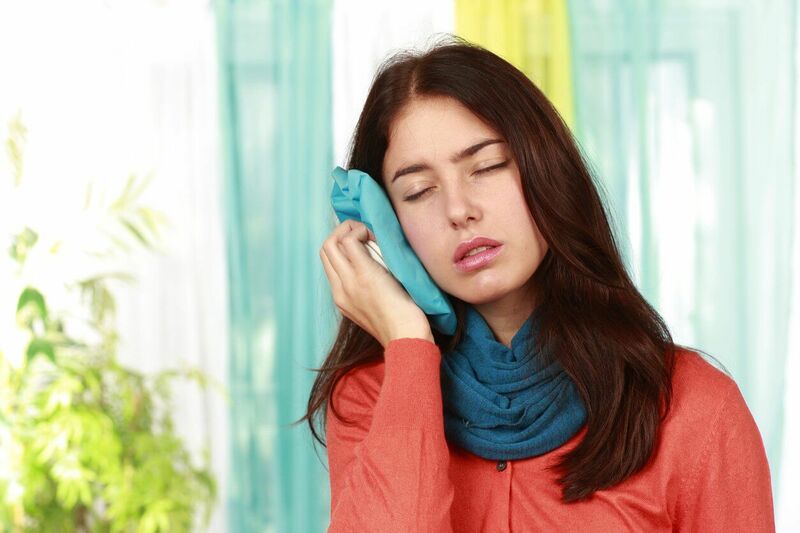 If your tooth problem is keeping you awake at night, you need to see an emergency dentist. There’s no reason to wait when you might have a serious problem. There are many reasons to see an emergency dentist. If you feel that you need immediate dental help, don’t hesitate to call. Getting the help you need from an experienced professional could save you your smile.